In partnership with Total Wine & More, join us for a spectacular evening of Wine & Wanderlust as we take you on an enchanting journey to sample over 100+ wines from world-renowned winemakers. 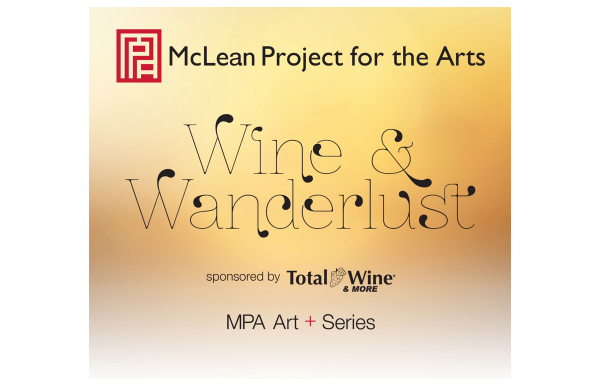 Through the power of art and taste, McLean Project for the Arts invites you to explore far-off lands inspired by the wine you will find in any Total Wine & More store. Tickets are $100/person and include wine-tastings, heavy appetizers, and music. *Hyatt Regency is offering a special discount on rooms for the evening to Wine & Wanderlustattendees. For more information visit their website.